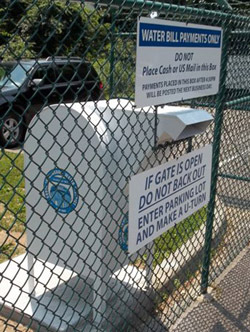 Recently, consumers have been asking for an easier way to drop off their water bills at our main office. 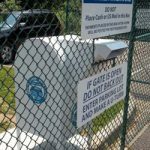 We’re happy to announce that we’ve answered the call and installed a water bill drop-box at the main entrance of our 40 Langdon Road office. You’re still more than welcome to come in and visit us, or simply drop your bill in the box. Our normal hours of business will continue Monday – Friday, 8 a.m. – 4 p.m., or drop your bill into the box at any time, 24/7. Bills dropped off after 4 p.m. will be collected and posted the next business day.